Frederic G. Vaucher maintained jewelry stores and watch repair facilities during the years 1880 to 1913 at the following addresses: 807 N. 9th, 510 N. 12th, 507 N. 12th, 503 N. 12th, and 213 N. 14th. 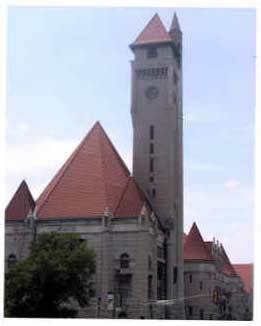 He probably made the large clock in the tower of the St. Louis railroad station: GATE WAY TO THE WEST. The following obituary appeared in the St. Louis Daily Globe Democrat, Thursday morning, July 1, 1913. Frederick G. Vaucher, 63 years old, known to thousands of residents of St. Louis and adjacent territory as an expert on fine watches and clocks, died Sunday afternoon after a week's illness. He was born in Neuchâtel, Suisse and came to America in 1870. He was married in 1874. He had an intimate knowledge of delicate timekeeping instruments. He was considered an authority on rare books, paintings, botany, and horticulture. 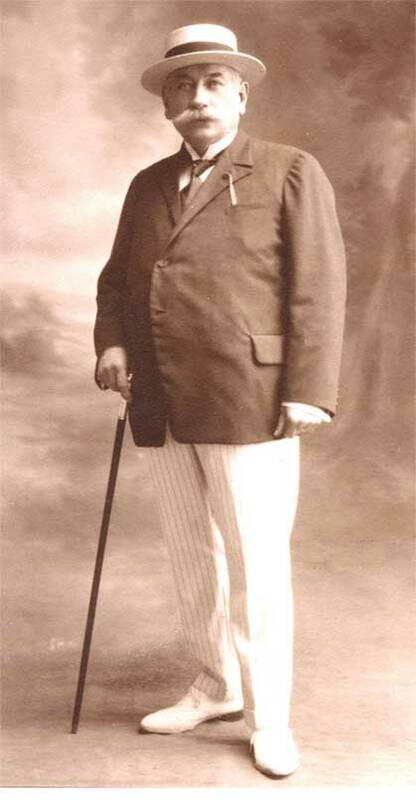 He is survived by his widow Mrs. Bertha Vaucher, two daughters, Mrs. Eugene Cowan and Miss Daisy Vaucher, and two sons, Leon and Gustave Vaucher. He had lived with Mrs. Cowan at 6017 Etzel Avenue.